Arachnophobia (the fear of spiders) affects around 5% of the population including celebrities as diverse as Justin Timberlake and JK Rowling. Whilst both statistically and factually there is very little to fear from most spiders these little eight-legged critters do seem to have reserved a special place in the human psyche. It is true that all spiders, by their definition, posses a pair of fangs through which they inject venom. And it probably doesn’t help their cause that they feed by turning their prey’s insides to liquid and then sucking it up. However, it is also the case that only a tiny fraction of the more than 40,000 species of spider pose any real danger to humans. For starters most are too small to be able to puncture the skin and the vast majority are not in the least aggressive. Even those spiders that can bite rarely cause injuries worse than a mosquito bite. It is estimated that during the whole 20th century spiders were responsible for in the region of only 100 deaths globally. That said, we are now going to look at those spiders that are considered dangerous to humans and have proven capable of inflicting significant injury. If you have seen our list of the deadliest Australian spiders you will be familiar with several of these already although the deadliest spider of them all is not from Australia at all. The actual danger the hobo spider presents to humans is somewhat debatable. 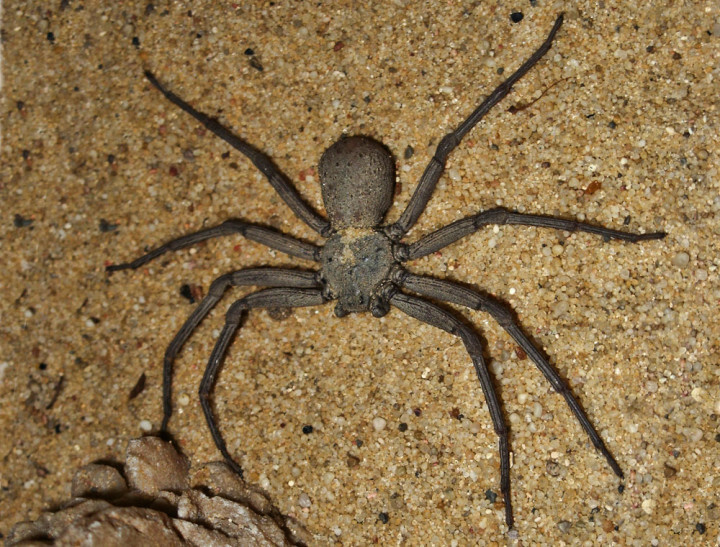 It has been proven to deliver quite serious bites to lab animals and there are many alleged cases of bites from these spiders causing necrosis, similar, but less severe than that observed in brown recluse bites. These bites cause an open wound whihc may take many weeks to heal. There are two reasons the hobo spider has made it onto this list; firstly it is aggressive and fairly common, which increases the chance of an actual bite occurring. 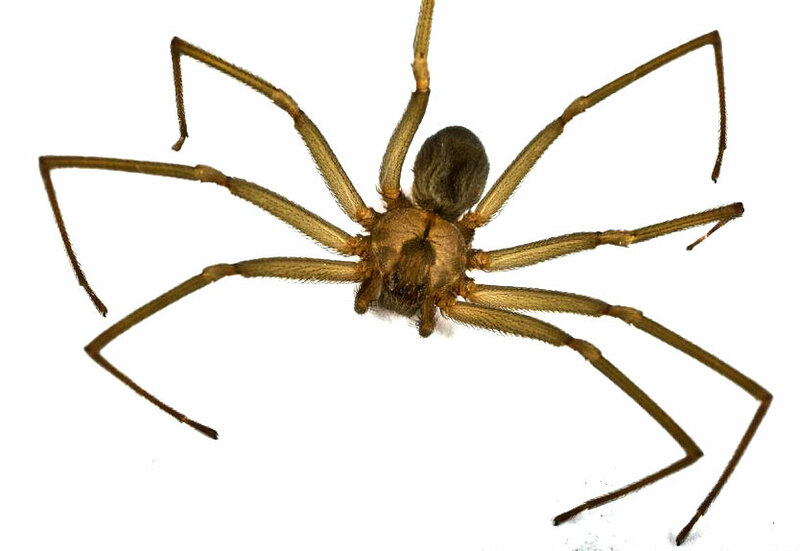 In fact the hobo spider is sometimes referred to as the ‘aggressive house spider’, although this could stem from a misinterpretation of its Latin name T. agrestis. The other reason I’ve included this spider on the list is just because it is quite interesting that this spider only recently arrived in North America. Previously it was common throughout Europe and went practically unnoticed. Where it differs is that in Europe the hobo spider is not found in houses – other bigger, meaner house spiders keep it out! The camel spider really is the stuff of nightmares. The biggest is the Egyptian giant solpugid with a body reaching up to six inches (15cm) in length and powerful jaws making up about a quarter of that this would be one of the biggest, scariest looking spiders in the world, except for one thing – it isn’t a spider, or a camel for that matter. Camel spiders are in fact a type of arachnid known as solifuges, which literally translates as ‘flee from the sun’. 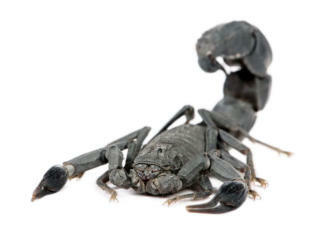 Also known as wind scorpions and sun spiders, solifuges are found in deserts throughout the world. So why is the camel spider in the list at all? Well basically just because they look so fierce and grow so big. They are also lightning fast and capable of running at speeds of up to 10 mph (16 kph). Solifuges can inflict a painful bite but they are not venomous. So those stories about them crawling under camels, disemboweling camels and eating the insides might just be a little bit of an exaggeration! 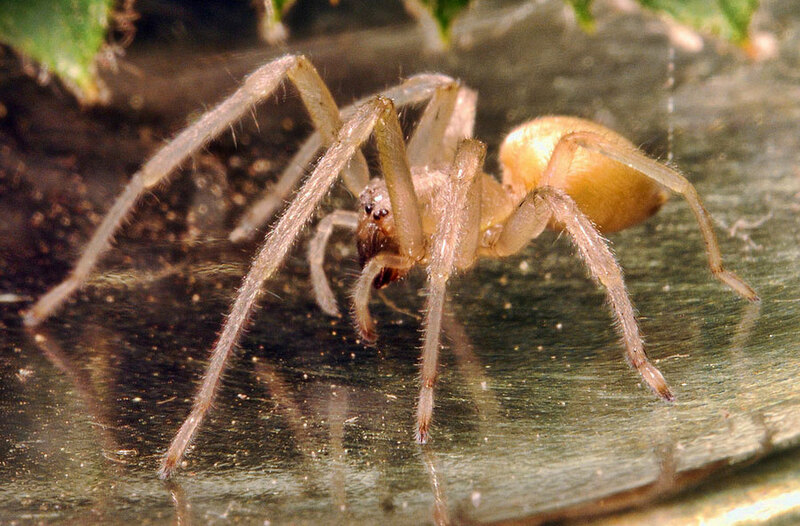 Small and innocuous in appearance but capable of delivering quite a nasty bite, the yellow sac spider is one to avoid. The spiders of the Cheiracanthium family are usually between 5 and 10mm (1/4 to 3/8 ins) long and are pale yellow or green in colour. They are fairly widespread occurring from Australia to Canada and many places in between. The venom of the yellow sac spider is a cytotoxin, which means it breaks down cells, possibly causing necrosis. Bites are characterized by an initial stinging pain followed by redness and swelling which can develop into a blister or sore. The bite is often compared to that of the brown recluse, although it is less severe and any resulting wound is likely to heal much faster. Some experts reckon that many recorded brown recluse bites are in fact sac spider bites and that these spiders are responsible for more bites than any other species. Tarantulas – the archetypal big hairy spiders that have been the terror of arachnophobes since time began. The name comes from a Spanish dance, which apparently is how people jumped around when bitten by one of these critters. Unlike the smaller spiders on this list tarantulas are mygalomorphs, which means their twin fangs point downwards and have to be stabbed into the prey, rather than the pincer like action of most smaller species. But everybody knows that despite their terrifying demeanor, tarantula bites aren’t so bad, right? 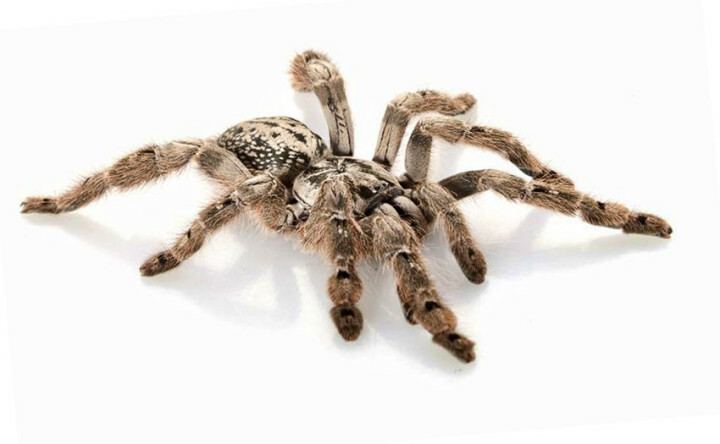 Well it may be true that most tarantula bites are no worse than a bee sting, however the Poecilotheria genus of spiders are renown for having a particularly nasty bite, none more so than Poecilotheria ornata – the fringed ornamental tarantula. The bite from one of these is reported to have caused excruciating pain, and extreme muscle cramping in some cases. One bite victim ended up in the emergency room after experiencing severe spasm and chest pains. So whilst there have been no confirmed fatalities from this tarantula it certainly carries a potent venom and injects it by the bucket load. At this point we encounter our first Australian spider and the bites become that bit more medically significant. There are around 12 species of mouse spider in Australia and there name comes from their soft furry abdomens and not from the fact they might eat mice, although I’m sure they would. Armed with huge fangs and a venom that is similar to that of the deadly Sydney funnel-web spider this spider is every bit as dangerous as it looks. Whilst the mouse spider is potentially dangerous it is far less aggressive than the Sydney funnel-web plus it often gives ‘dry bites’, i.e. without venom. Therefore it appears lower on this list than its meaner cousin. What’s got eight legs, six eyes and lives in the deserts of Southern Africa?! That’s right, the six-eyed sand spider. The scientific name for this spider’s family is Sicarius which means ‘murderer’ and the spider is certainly an assassin. It hunts by burying itself in the sand and waiting for its unsuspecting victim to wander by at which point it pounces. In trials it was shown that the venom from a bite was fatal to rabbits in as little as 5 hours. Like their close relatives, the recluse spiders, the venom of the six-eyed sand spider is a powerful cytotoxin. In the case of Sicarius the venom is both hemolytic and necrotic meaning it causes blood vessels to leak and destruction of flesh. But how dangerous is this spider to humans? Well we aren’t quite sure; there have only ever been two suspected cases of bites to humans and neither were conclusively attributed to the six-eye. Combined with the fact it can survive for a year on one meal it probably isn’t the biggest threat to humans. 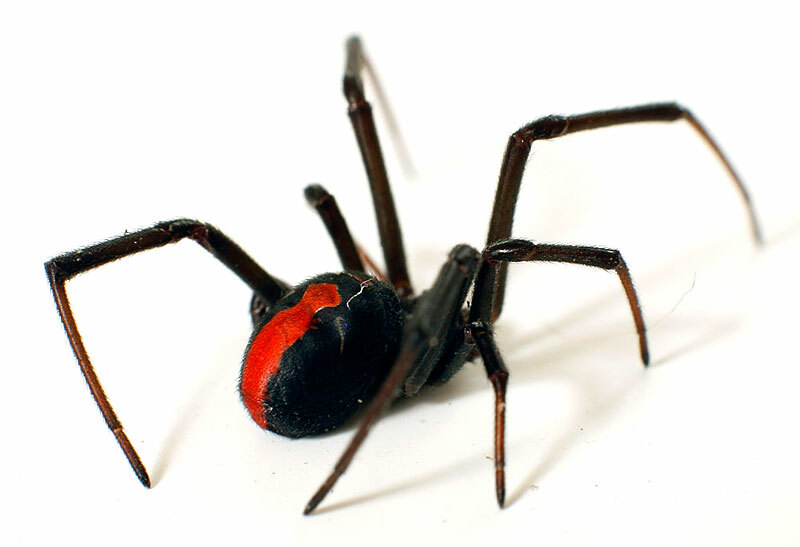 The black widow spider, or redback as it is known in Australia is one of the most iconic spiders on the planet. Instantly recognisable by its round black abdomen with striking red markings these are definitely spiders not to be trifled with. Both the redback and the black widow are from the Latrodectus family with the redback being marginally more venomous than the black widow. And that venom is potent, more so than any other spider but one. The only reason these spiders don’t top the list is because they are smaller and deliver less of it. The effects of this lethal toxin range from burning pain to a systemic condition known as latrodectism. Symptoms include general pain and swelling spreading from the affected area, abdominal cramps, nausea and sweating to name a few. This condition occurs in around half of bites and was often fatal in the very old and young before anti venom became available. The recluse spiders occur in warmer climes throughout the world. Also known as violin spiders, fiddle-backs or even reapers these six-eyed spiders all possess tissue destroying venom and belong to the Loxosceles family. Recluse spiders have garnered quite a reputation for themselves over recent years and the internet is awash with some pretty ugly photos of the effects of their bite. The venom of this group of spiders is known to be necrotic, i.e. flesh-eating and whilst usually mild, can result in a condition known as Loxoscelism. In these severe cases the area around the bite begins to die and a deep open sore is formed. There is no effective treatment for these bite wounds and they may take months to heal, sometimes requiring skin grafts. In the very worse cases limbs have needed to be amputated and there have been a significant number of fatal bites, particularly from the Chilean recluse. On a more positive note, the recluse is so called as it is relatively shy and not regarded as aggressive. Their small fangs also make it less likely they will deliver a significant dose of venom. However, think twice before spraying them with a dose of bug-killer; it is reported that they are immune to some insecticides and only make them more toxic and angry! The Sydney funnel-web spider (Atrax robustus) is a veritable bruiser amongst the spider world. Whilst most spiders seek to avoid confrontation with humans the funnel-web will charge in delivering a volley of bites whilst clinging to its victim. So although its venom is no more potent than many of the spiders on this list, the funnel-web makes sure the unfortunate recipient gets the full dose. In addition to its temperament the Sydney funnel-web is well equipped for the job. It has the most impressive fangs of any spider; these needle sharp weapons are longer than those of some snakes. Armed with these killer fangs and powerfully built, the funnel web is reputed to be able to bite through shoe leather and even finger nails. Unlike virtually every other group of spiders it is the male Sydney funnel-web that is equipped with the most potent venom – up to six times stronger than that of the female. The venom itself is a neurotoxin which appears to be particularly effective against primates. Within minutes of being bitten the victim may suffer extreme symptoms such as muscle spasms, palpitations, vomiting, confusion and swelling of the brain. In some cases death has followed in as little as 15 minutes after the bite occurred. The good news is an effective anti-venom was introduced in 1981 and there hasn’t been a death since. When a spider’s scientific name is derived from the Greek for murderess (Phoneutria) you can guess it’s going to be trouble and this is certainly the case for the wandering spiders. According to Guinness World Records the Brazilian wandering spider (Phoneutria fera) is officially the world’s most venomous spider. It is capable of injecting a powerful neurotoxin which is nearly 20 times more deadly that that of the Black Widow spider if it gets into the blood stream. That is as potent as the venom of many deadly snake species and the effects are similar. 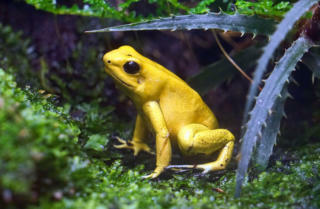 The symptoms of envenomation include a loss of muscle control leading to breathing problems which can result in complete respiratory paralysis and eventually asphyxiation. But there are two other major side effects to the wandering spider’s bite; firstly there is intense pain and secondly, if you happen to be male there is the four hour hard on. 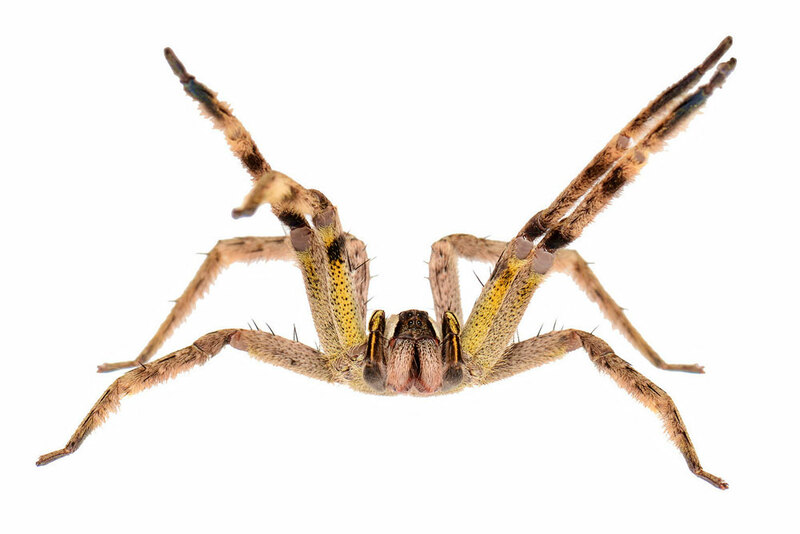 Yes, you did read that correctly – the bite of the Brazilian wandering spider can cause an erection that lasts for several hours, unfortunately it is also painful. In addition to the this deadly venom the behaviour of the wandering spider make it particularly dangerous to humans. As its name suggests the spiders are not confined to a web in a dark corner. In fact they like to turn up in all manner of hiding places; boots, piles of clothes, log piles, cars and bunches of bananas. Also known as ‘banana spiders’ wandering spiders have been known to hitch a ride across the globe in boxes of bananas. In one case a man in the UK was bitten after buying bananas in his local supermarket. There is little doubt that these are dangerous spiders. 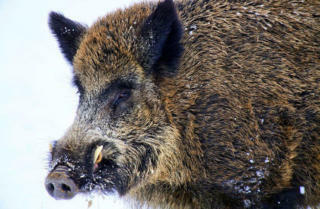 Their aggressive nature and close contact with humans have resulted in a number of deaths over the years. In one tragic case a single spider was responsible for the deaths of two children in São Paulo. Fortunately an effective antivenom has been developed and there have been relatively few fatalities since. The Camel Spider is just living death from the boiler room of Hell. 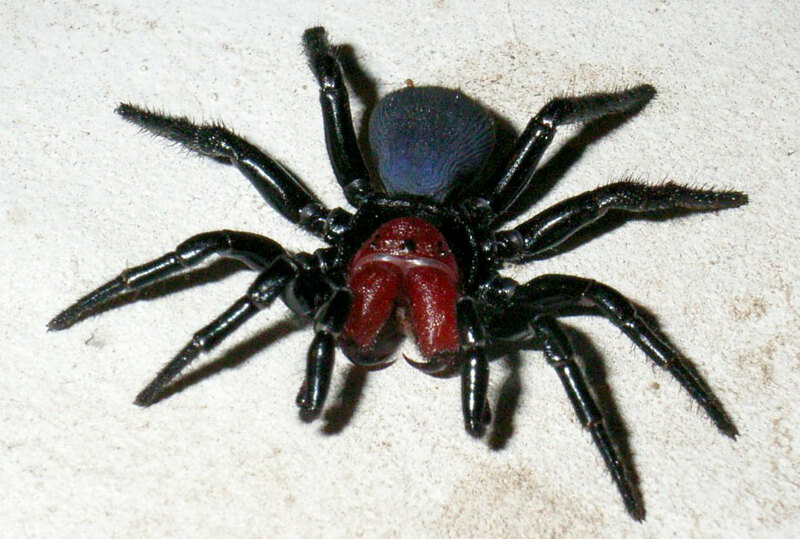 The Redback Spider is NOT a Black Widow Spider; they are two (2) different widow spiders. They have very similar habits and comparable neurotoxic venom. They look almost identical, except for the Redback’s dorsal stripe, but they are NOT the same spider. It literally said this in the article. It just listed them together because theyre so comparable. I wonder if you can synthesize and modify the venom from the Brazilian Wandering spider to make an alternative to Viagra? Get on it, Pfizer competitors! I only demand a small fee for the inspiration. Maybe that is what Viagra is made of! While I can’t say anything about the venom of the hobo spider, they are definitely not aggressive. A lot of the hobo spider’s bad reputation is due to media and exterminators. I agree because when my sister was young she held a young hobo spider in her hands and it didn’t bite her. The article wouldn’t have been particularly interesting if it was just a repeat of the Australia’s most dangerous spiders so I thought I’d mix it up a bit. Not sure I agree with you on Sydney funnel web being #1 though. Wandering spider is much more venomous, equally aggressive and more likely to come into contact with humans. 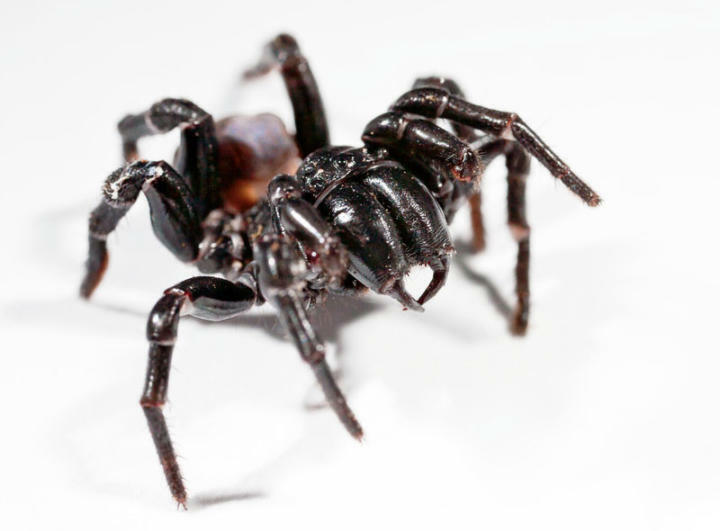 No, the Brasilian Wandering spider’s toxin is fractionally more dangerous than the various Australian funnel webs species. There isn’t much in it though, it’s pretty damn close and not “much more venomous” as surfgatinho has suggested. Both spiders are very aggressive, and both can and do wander. In both cases, it’s the males that wander, the females stay underground all their lives. The males are smaller than the females, but usually have stronger toxins. The funnel web is particularly nasty because it will bite multiple times and generally injects the full dose of venom, unlike most other spider species. It also has very strong jaws and the puncture wounds from the bite can be very painful. The Redback spider is particularly docile in comparison, and in a lot of instances, doesn’t inject venom on biting, or only a small dose. 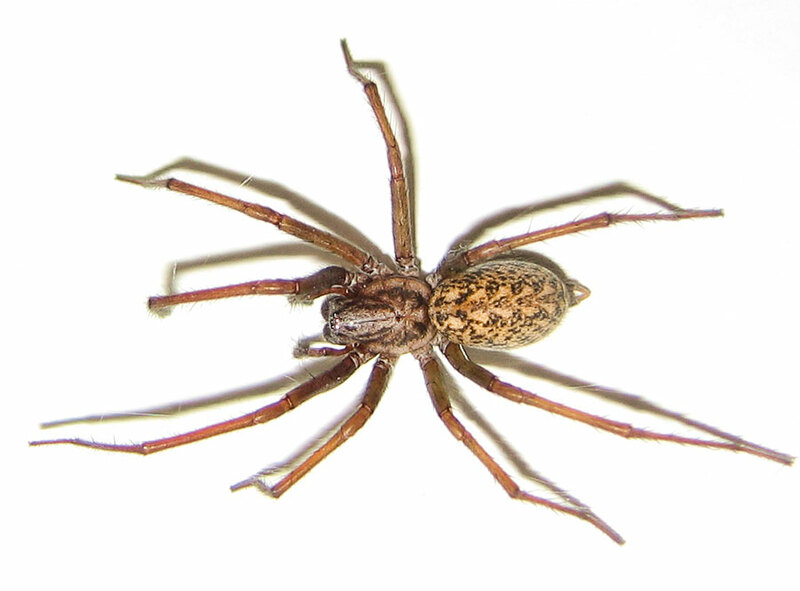 A word on necrosis – recent research has shown that tissue necrosis from hobo spider/sac spider/wolf spider is due to the victim being allergic to the venom. Healthy persons who aren’t allergic to the toxin don’t suffer necrosis. There’s a lot of misnomers about spiders, and a lot of that is to do with fear of them. Know thy enemy! (well spiders aren’t our enemies, but the saying was apt to be used in the context!). Absolutely not, they have no fangs or venom at all. In fact the only way they could harm even small creatures would be through ingestion. Plus, they’re not even spiders. They’re opiliones, and they’re completely harmless, although they CAN penetrate the skin. Their bite causes a slight burning sensation for a few seconds, but nothing more. I believe that one is a female Mouse Spider which is twice as big and has more venom of-course, while the males are red-headed. But I also read that some females are red-headed too and bit bigger than the males. The venom from both has the same effects. most males in spider species are smaller than the females. It is not an uncommon thing! There are several sub species of mouse spiders and all are potentially deadly to humans. Recent studies have tended to suspect that most of the people who were suspected of being bitted by funnel web spiders, were actually bitten by mouse spiders. Some research is showing that their toxin is just as deadly as the more famous funnel webs too. The tarantula pictured in #7 is a Heteroscodra maculata not a Poecilotheria ornata (Fringed ornamental). Well spotted! I couldn’t find a photo of Poecilotheria that I could use and thought I’d get away with it…. 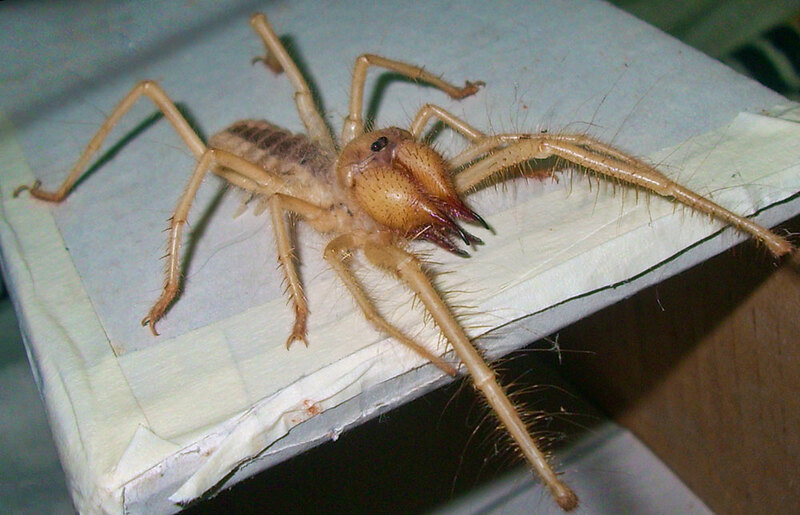 Also Camel Spider and P.Ornata are not true spiders … and isnt P.Regalis more venomous ??? The article does say the camel spider isn’t a true spider. Poecilotheria on the other hand are definitely spiders. Not sure whether P. regalis is more venomous. From what I can gather both have “medically significant” bites, with the P. ornata being bigger and more aggressive. Tarantulas are not true spiders, ie: Pokies or Poecilotheria, P.Ornata are Tarantulas. I always understood it to be P.Regalis has the most potent bite, but maybe i am biased as i have 12 of them. “Tarantulas comprise a group of large and often hairy arachnids belonging to the Theraphosidae family of spiders”. QUOTE “” A tarantula is a large spider in the infraorder Mygalomorphae. (In fact, the French word for tarantula is mygale). Arguing on the internet is like the special Olympics. Even if you win, you’re still retarded. what jokes said,about special Olympics is bloody funny,. I don’t endorse being disrespectful to the disadvantaged,but I found his angle on it quite funny,. Sorry to those easily offended,. Correct. Tarantulas are not “true spiders,” but they are still spiders. True spiders are a branch of spiders.